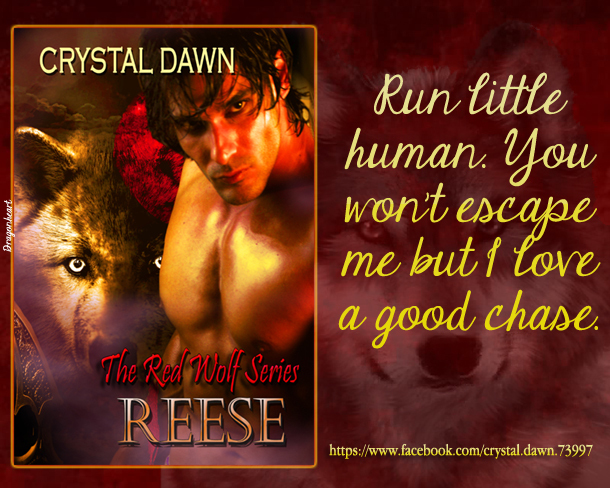 Reese is the first of the Red Wolf series and is available on Kindle unlimited for three months before he becomes available on all the usual venues. This world ties in with the white wolf world and even has some contact with characters from it. The way their pack is set up is a whole town where most citizens are werewolves. Reese is not the pack alpha, but his authority equals his. Follow the link to discover the world of the red wolf as it begins.